XXXVI, 492 p., 17,3 x 24,4 cm. In the second book of ›De legibus ac Deo legislatore‹ (1612), the summa of his theology of law, Francisco Suárez (1548–1617) explains and develops his concept of eternal and natural law as well as of international law. Suárez puts forward a critical revision of the theories of eternal law as presented by Augustine and Thomas Aquinas, and thus develops medieval theology of law further. 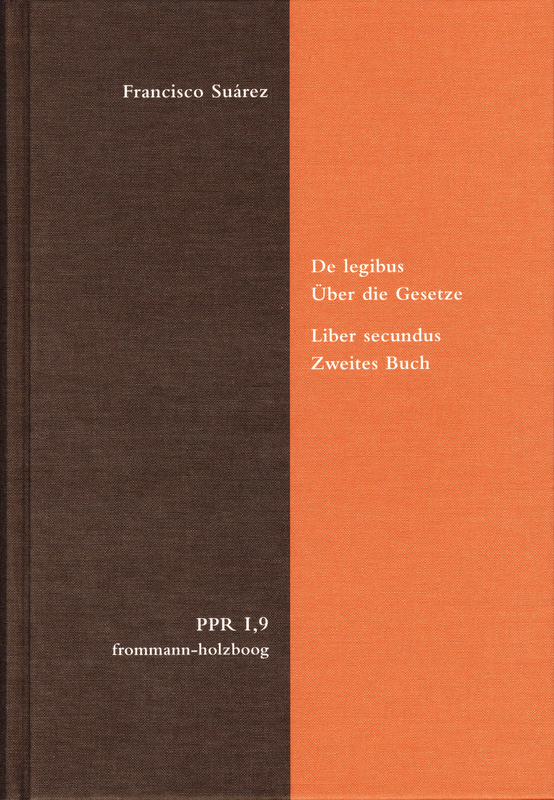 Concerning the controversial debates on natural and international law set off by Hugo Grotius and Thomas Hobbes and carried on up to Christian Wolff, Suárez already formulates genuine conceptions that promote the early modern development of political theory until the 18th century.